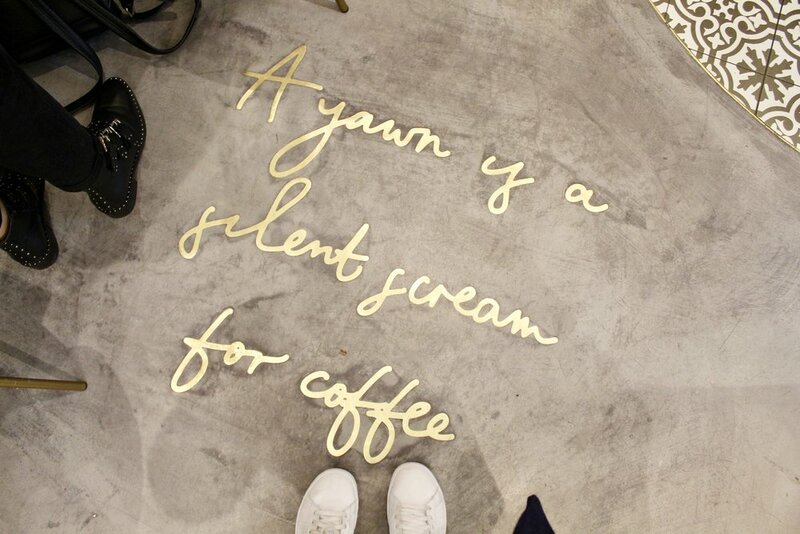 Have you heard of Elan Cafe? If you're a normal person, most likely not, if you're an influencer then I'd be surprised if you haven't been there already. 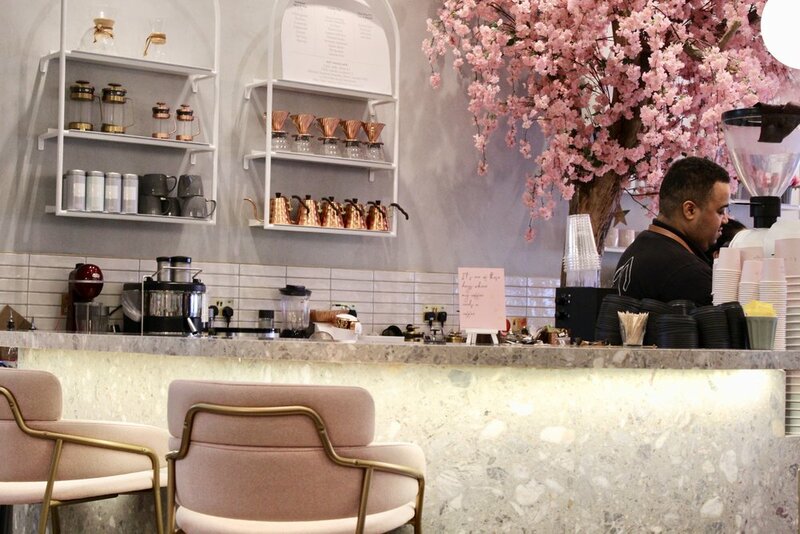 Flower walls, marble tables, millennial pink chairs, Instagrammable tiles, and of course extremely pretty food and drink. 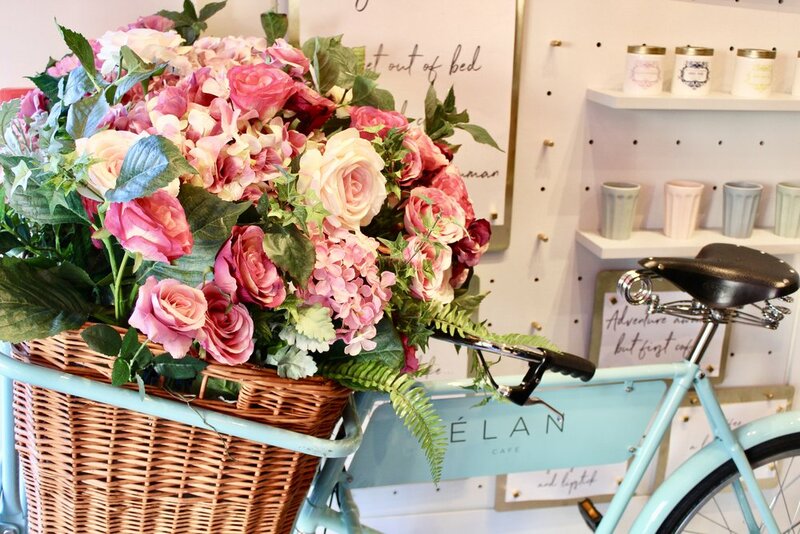 If designing a cafe that would get all girls to flock there with their cameras in 2018, then Elan have it nailed. Having visited in the morning, we had the place mainly to ourselves to both relax and get photos in front of the famed wall. However I've been told that some days there is a waiting list for said wall, slightly obscene, as well as it being crammed of bloggers trying to get the perfect shot. The food and drink are perfectly lovely, albeit pricey being in the Mayfair area. 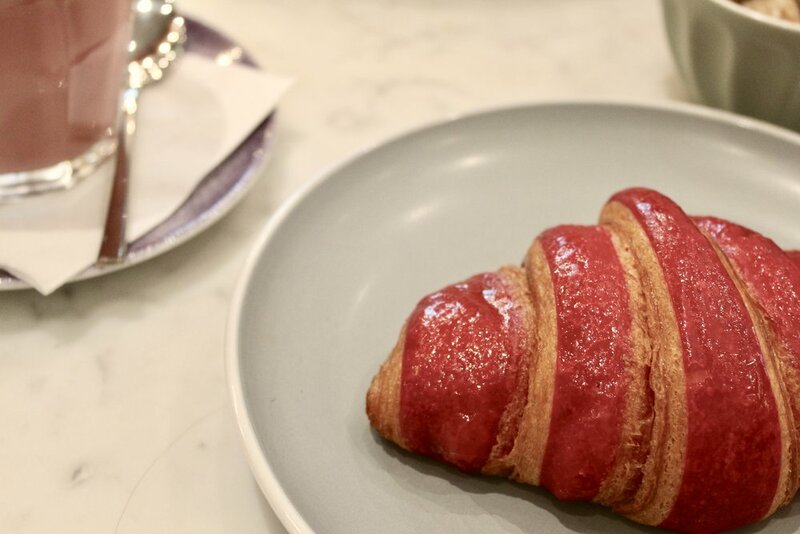 A ginger and beetroot latte with a raspberry striped croissant set me back nearly £9 so it is definitely one for a treat. But if you want to up your Instagram game then head here early in the morning.